Minneapolis, March 16, 2016–Close to 50 UTVs converged on the streets of Las Vegas for the 2016 Polaris RZR Mint 400 Presented by BFGoodrich Tires. 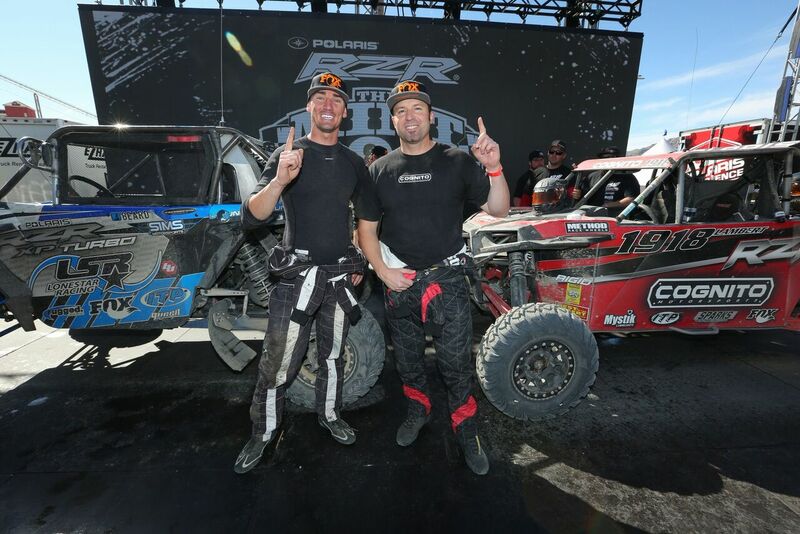 When the dust settled, Polaris RZRs would sweep both the Pro Turbo and Pro Production podiums. 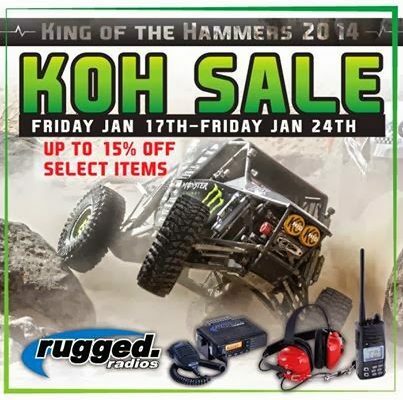 The Mint 400 would be run in reverse this year adding to the already challenging 330-mile race. Polaris Factory Racer Branden Sims in his No. 913 Lone Star Racing RZR XP Turbo EPS would get to the front of the pack on the second lap where he would be challenged throughout the rest of the race by Polaris Factory Racer Justin Lambert in the No. 1918 Cognito Motorsports RZR XP 4 1000 EPS. Sims would take the checkered flag for the Pro Turbo class and win the overall. When he turned around to see who was coming in second, he’d see Lambert and his co-driver pushing the No. 1918 to the finish line. In an act of true sportsmanship, Sims and his co-driver would run out to help push the car over the finish line giving Cognito their third consecutive Pro Production win and the second overall for UTVs. Polaris Factory Racer Wayne Matlock in the No. 971 Terabbit RZR XP 4 Turbo EPS and his wife Kristin Matlock in the No. 1954 Terabbit RZR XP 4 1000 EPS would both take second-place finishes in their respective classes with Wayne finishing third overall for UTVs. Ryan Laidlaw would round out the podium in the Pro Turbo class taking a third place finish in the No. 960 Redlands RZR XP 4 Turbo EPS, and Benjamin Bischoff would take third in the Pro Production class in his No. 1923 RZR XP 1000 EPS. The next BITD Race is the Method Race Wheels Laughlin Desert Classic – Presented by Canidae Tap It, May 5-8, in Laughlin, Nev.
Justin Lambert is sponsored by Polaris, Cognito, Mystik Lubricants, ITP Tires, Method Race Wheels, Sparks Performance Products and Fox Racing Shocks. Wayne and Kristen Matlock are sponsored by Polaris, Terabbit Racing, Matlock Racing, Maxxis Tires, Fox Racing Shox, DWT, Jimco Racing, Black Rhino, G-Fors Racing, Alba Racing, Coyne Powersports, NecksGen, Baja Designs, Rugged Radios, Factory UTV, Airdam Clutches, Fly Racing, Maxima Racing Oils, Uni Filter, CryoHeat, Motion Pro, IMS, Impact Racing, Monster Seal, Lone Star Racing and Copy Boy Printing.